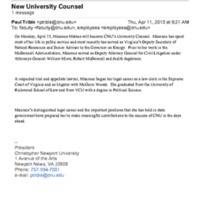 An email announcing that On Monday, April 15,  Maureen Matsen will become CNU’s University Counsel. 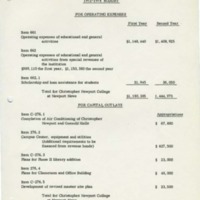 Includes brief background information. 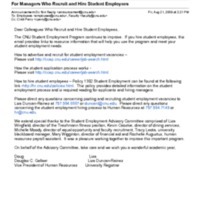 An email sent on behalf of the Student Employment Advisory Committee providing information for hiring students to work in on campus positions. 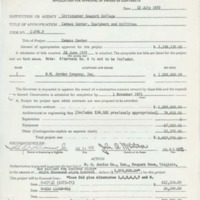 Application for approval of award contracts for equipment and utilities in the Campus Center. 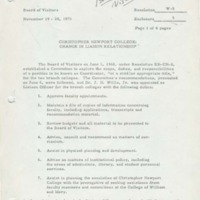 Establishment of a Committee to explore the scope, duties and responsibilities of a position as Coordinator. 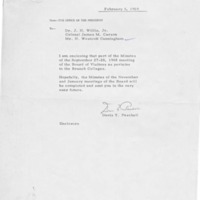 Revised edition of the resolution regarding the By-Laws of the Faculty.